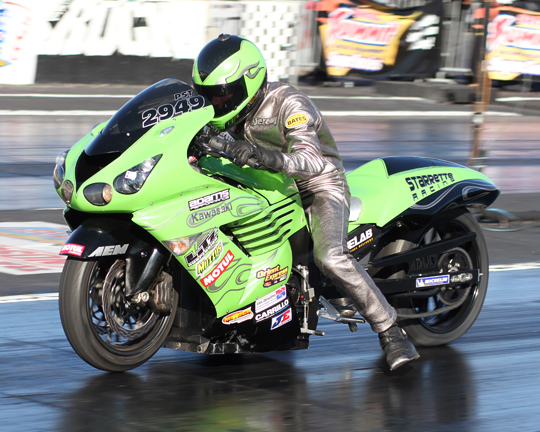 Adams Performance jumped back into the grudge game with big time horsepower on the Leonidas bike. 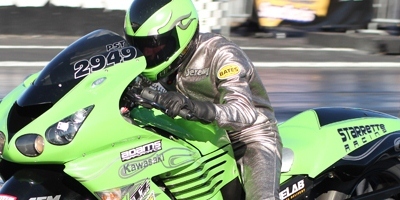 Teasley’s battles on board the Leonidas against legendary Johnny “Airtime” Locklear on The Ho have reinvigorated grudge racing and spawned a whole posse of YouTube clips. “The videos and wins speak for themselves, and Leonidas will continue to shock the world in 2011,” said Miller. But Adams Performance pushes the envelope in many forms of racing, currently working with AMA Motorcycle Hall of Fame inductee and Supercross champion “Jammin’ Jimmy Weinert with his motocross efforts. “Our will to be the best at everything we do fuels our need to get every bit of horsepower out of these 4 strokes,” Miller about the motocross program. “And by the looks of the superstars flying around the track at Jimmy’s MX Training Facility in Dilon, South Carolina, Weinert and Adams are a winning combination. “We also keep leading the mini sprint industry with power and new products designed for the winners circle. 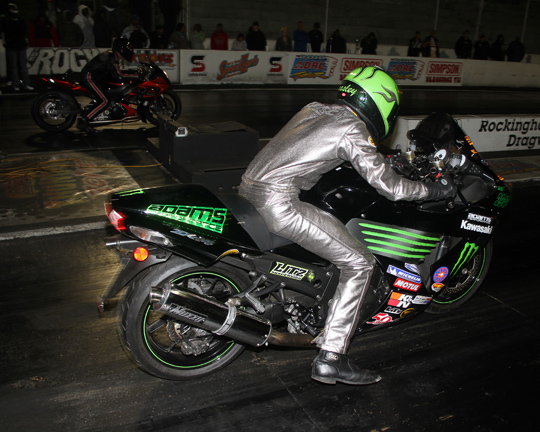 Our dyno stays smokin’ with mini sprints shredding rubber and burning alcohol to find power and longevity.